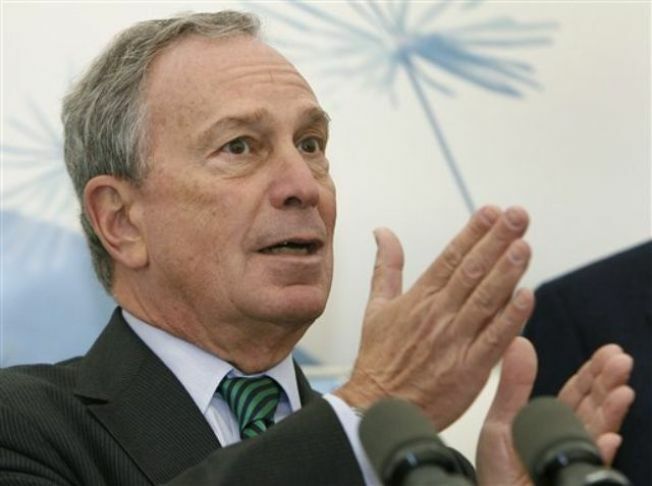 Mayor Michael Bloomberg will travel to Copenhagen next week to participate in a climate summit for mayors alongside the 192-nation climate conference currently convening there. Hosted by the Lord Mayor of Copenhagen, the Mayor’s Climate Change Summit consists of 100 mayors from around the world to discuss and highlight cities’ action to combat climate change, City Hall said today. Cities account for 80% of global greenhouse gases. In addition, densely populated urban areas, particularly coastal cities, will disproportionately feel the impacts of climate change. New York is also part of the summit's "Future City" exhibition, where ten cities from around the world will showcase their environmental solutions. Other cities to present include Johannesburg, Jakarta, Indonesia and Sao Paulo, Brazil. New York City was selected to present its plan to reduce greenhouse gas emissions and energy usage in existing buildings. New York's City Council is currently debating a plan called the "Greener, Greater Buildings" act. If passed it will create New York’s first energy code, and includes other initiatives to improve energy efficiency in existing buildings, reduce greenhouse gas emissions, lower energy costs, and create jobs in the construction sector.